Ergonomically designed suction cup. Removes black heads without hurting your skin with hard squeezing. 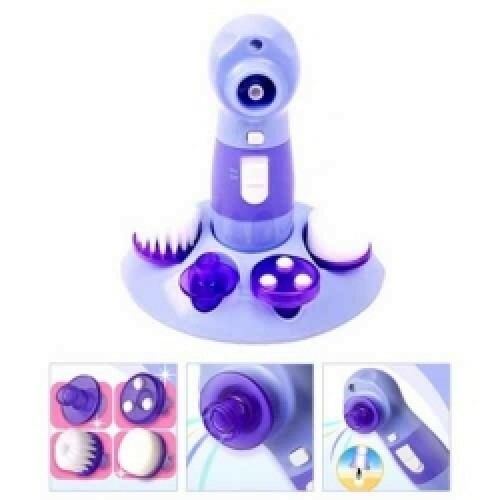 Face Suction Cup Cleans pores and black heads from your skin by its suction technology. Contour Massager tones face muscles, stimulate blood vessels and thus improve blood circulation. Cleaning Sponge Helps you to spread facial cream evenly on your face to get maximum benefits of it. Exfoliation Brush with mist function renews skin by removal of dead cells of face and makes your skin glow. Discover cleaner, clearer Skin in just weeks. Powerful suction without squeezing or pulling skin. 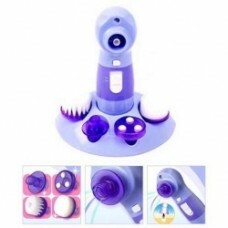 For best result, please apply this Face Care System machine after shower/bath or washing face with warm towel. For using the Face Suction Cup. Do not stay for particular one spot over 10 seconds. Must not be used overinfected or inflamed areas or skin eruptions. Remember to remove all the battery after used the Face Care System. Suggest you to use the alkalin battery for better performance.